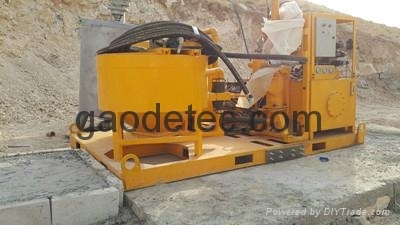 Gaodetec mainly supply electric grout plant and diesel engine drive grout plant for Asia, middle east, Africa customers. 1. What’s kind of grouting project will you use the grout plant do? 2. What’s the pressure and flow do you demands? 3. Would you like electric motor or diesel engine drive? If electric motor drive, what’s the voltage at the worksite? How to find one good grout plant supplier in China, send email to info@gaodetec.com or call or send message through whatsapp viber wechat etc. to +86-15903613994.